Patented Rocker-Lug technology puts the mic in perfect placement. The MS8301 offers a new choice in tripod stands...the Rocker-Lug! The patent-pending Rocker-Lug allows the upper mic shaft to tilt up to 40° off of vertical, so there is no need for a boom arm in many applications. Plus, the Rocker slides down effortlessly into the clutch for straight stand applications and for compact storage/transport. The folding tripod base sports 3 rubber feet for stability and noise reduction. 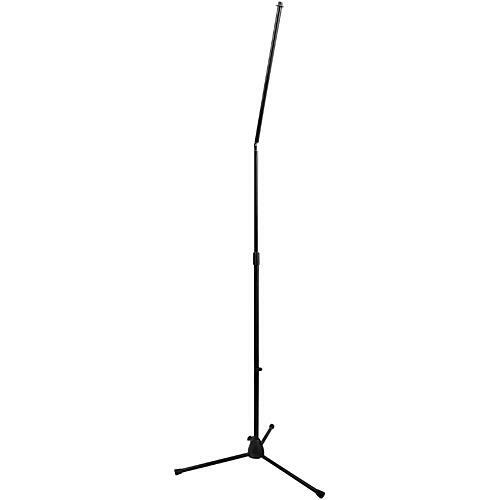 The MS8301 is the new standard in tripod straight and boom stands. Height Adjustment: 39" - 63"